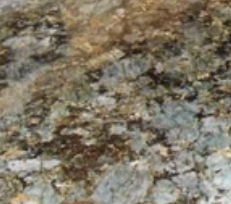 For a 3 cm polished slab, $45 to $50 is an average Verde Peacock granite price per square foot. Even though this stone has a ton of character and charm and a relatively painless price point Verde Peacock is not a top-selling choice. 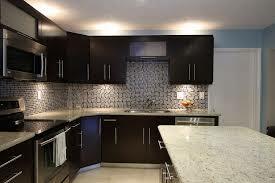 Get educated on the cost of granite further here. If you want something that is rare, unique, and affordable this granite is a terrific choice. Most visitors to your home will probably be seeing this granite color for the first time, and it will be sure to leave a lasting impression. Verde Peacock granite has a predominately darkish grey/black appearance from afar, with a high percentage of its surface populated by green microcline minerals. These green microcline minerals give Verde Peacock it’s green earthy glow. Littered throughout the stone but a little bit more understated are golden minerals called Plagioclase. Most slabs look remarkably similar, adding predictability, this is one of the few stones you could order without seeing with little risk. Verde Peacock, which is also commonly known by the names Verde Pavao, Furong Green, and Peafowl Green is quarried in Brazil. Brazil is one of the largest suppliers of natural stone. What Cabinets Match with Verde Peacock? Part of the reason Verde Peacock doesn’t have the same notoriety as some of its contemporaries, is the limited options that work for cabinet color choices. Verde Peacock looks best with stained wood cabinets, which if you search through photos on Houzz is what you will see posted for the most part. 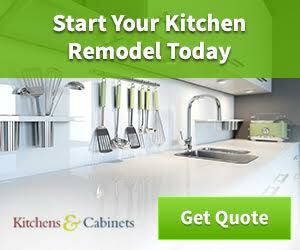 Besides countertops, what are some popular uses for Peacock Green?